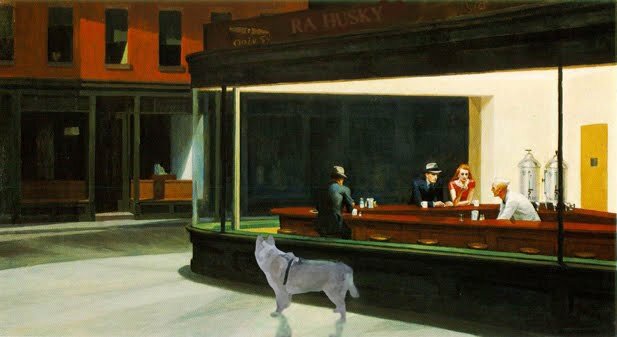 RA HUSKY: Do woo like alleys? You look like you are planning something together on this walk. We bet that you like alleys with a lot of snow!!! Hi Mark and kids, we have 6 inches of snow. Ah...would you like some? Maybe you guys could visit and we can hook up my wagon (it has skis) to your leads and you could pull me along. Sound good? Yes we can all have dinner later. I love a nice alley, cuz there might be a chicken bone or a pizza crust! My favorite!